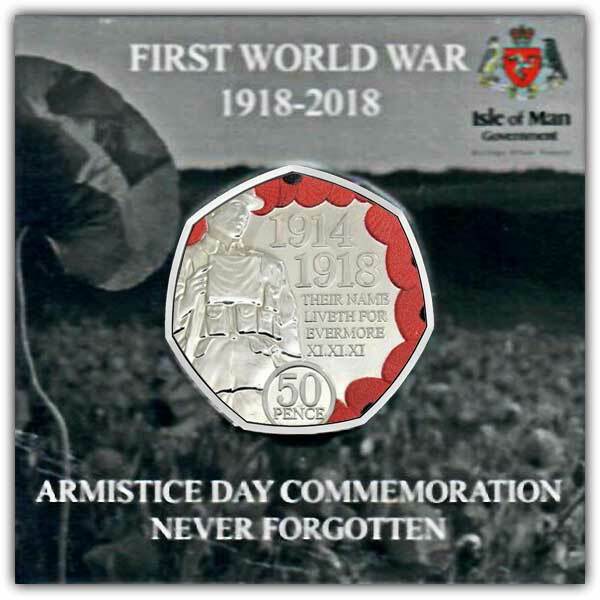 "1914-1918 THEIR NAMES LIVETH FOR EVERMORE XI XI XI"
The Isle of Man Government have released a coloured 50p coin for the 2018 Remembrance featuring "The Manxman" from atop the War memorial on Douglas promenade. The 50 pence coin has been struck in uncirculated Cupro Nickel. 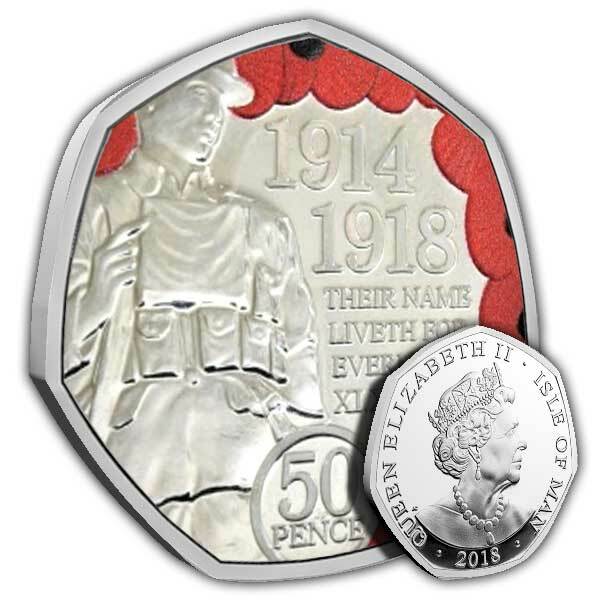 This stunning coin has been enhanced with colour printing on the Red Poppies around the edge. The obverse carries an effigy of Her Majesty Queen Elizabeth II by Jody Clark, this effigy being reserved for the Crown dependencies and Commonwealth countries. Fast ,efficient ,friendly and reliable service will go above and beyond to help you out and will always reply to any queries . Excellent coin great presentation fantastic value. Amazing design. A fantastic coin and a wonderful gesture for the Children of Mann in memory of those who died during the conflicts of the World. Amazing service ! Very pleased as usual !